Talented LEGO builder and flickr.com user Grantmasters recently proved us all that the MOC must not be large to be impressive. 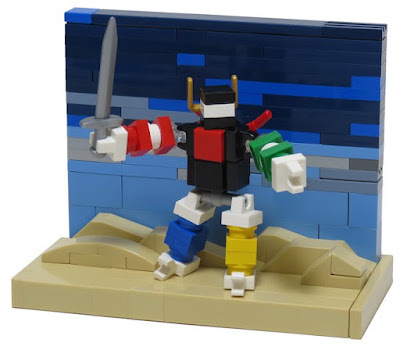 The creator depicted this micro version of the giant mecha from the TV series Voltron: Defender of the Universe (1984). The model is incredible cute and also accurate to the cartoon version with its colors.